In an article on Rondebosch mention was made of the Rondebosch Common and that some land had been given to the Red Cross Children's Hospital. The hospital is well known throughout the world for its many achievements over the years. It has a fantastic reputation of providing excellent care for children . Since 1959 it has had a proud record of firsts. Here is a list of some of its achievements. 1959 – the first open-heart surgery on a child. (Dr Chris Barnard established the original cardiac unit and ICU). 1964 – the first hospital to separate conjoined twins. 1969 – the first children’s cancer service. 1971 – the first paediatric poison information centre. 1978 – the first Child Accident Prevention Foundation (CAPFSA). 1979 – the first and only paediatric neurosurgery programme. 1981 – the first lumbosacral selective rhizotomy for spasticity. 1984 – the first dedicated paediatric trauma unit. 1984 – the first paediatric day surgery unit. 1990 – the first child heart transplant. 1991 – the first and only paediatric liver transplant programme. 1997 – the first double transplant on a child (liver and kidney). 2001 – the first autologous epithelial autograft on a burn patient. 2002 – the first living related liver transplant. The hospital has 331 beds and a staff of 1100 dedicated nurses and doctors and back up admin people. 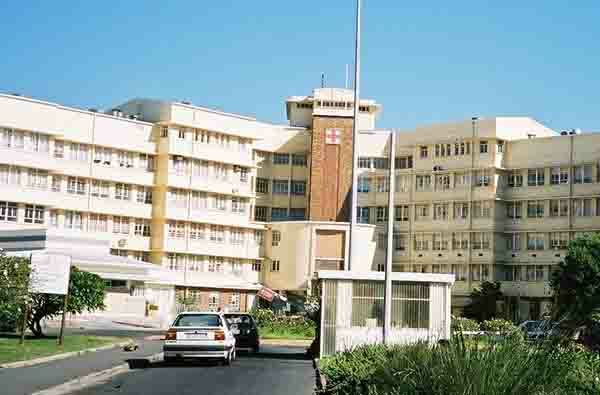 It is also a teaching hospital and students from UCT are trained in the hospital. Links are also being developed with the University of Stellenbosch and University of the Western Cape. The hospital is very busy and attends to 18500 in patients and 155000 out patients annually. Most of these patients come from the disadvantaged communities in South Africa. The hospital has a proud record of turning no one away. Although the majority of patients cannot afford to pay for services there is also a growing number of paying patients. Over the past number of years hospital budgets have been cut quite drastically and Red Cross has been included in the hospitals that have lost much of their Government support. As a result the Red Cross has had to cut back on certain services and has had major problems in obtaining equipment. To alleviate the situation it has fallen to the hospitals themselves to generate funds either via donations or other means. Since 1995 the hospital has managed to raise R62 million for the following: A new specialist outpatients and emergency services wing – R43 million. A new integrated paediatric intensive care unit. All donations towards improving conditions and equipment will be gladly accepted. Look for the details on their website.